A southern Gothic musical thriller by RYAN SCOTT OLIVER. We Foxes is a southern Gothic thriller set in small-town Missouri, 1945. It’s the story of WILLA, a tough and unmannered orphan girl, and her adoption by the crafty Sheriff’s wife, VESTA QUIMBY. When Willa discovers the dark secrets beneath the floorboards, a war cuts them apart and Willa must fight to survive. After all, Vesta Quimby is the most beloved and powerful woman in town … Yet she’s less humanitarian socialite than she is Machiavellian sociopath… Can Willa discover her own salvation, deliver herself into courage, and sacrifice everything to escape Vesta? It is a story of intense human struggle, deliverance, and the great salvation found only through oneself. 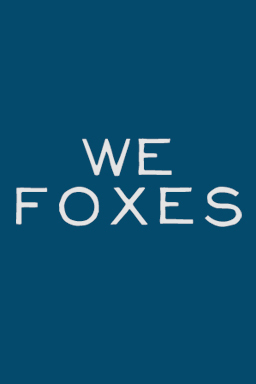 We Foxes was originally commissioned in January, 2013 by Broadway Across America. It was written and developed at Weston Playhouse (Weston, VT), CAP21 (NYC, NY), Theatreworks Silicon Valley (CA), the 5th Avenue (Seattle, WA), Pace University (NYC, NY), San Diego State University (CA), Goodspeed Opera House (East Haddam, CT), and the York Theatre (NYC, NY). It is the winner of the New Horizons Musical Theatre Festival Award.